This week we&#39;re joined with a special panel including women&#39;s wrestlers Jinx and HoneyBadger, Ryse Wrestling booker Marcus Mann, and the PWTorch "Talking Honor" Podcast&#39;s Emily Fear. We are talking about the state of integender wrestling including the history of Chyna in WWE, the presentation of Lucha Underground, how Ryse Wrestling addresses intergender wrestling, booking issues they hope to still overcome, and more in this hour long conversation! Share your ... See More feelings on indy wrestling and tell us who we should talk to on the show via e-mail at goodtimes@wrestlingmayhemshow.com! 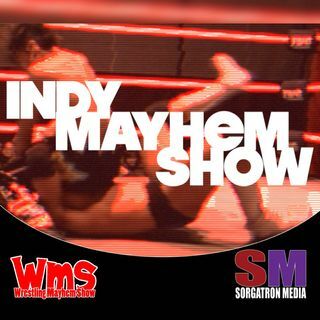 Check out more of Marcus Mann, HoneyBadger, Jinx, and Ryse Wrestling at indywrestling.us !